Step into to this Gorgeous well designed Move-In R - Step into to this Gorgeous well designed Move-In Ready home. 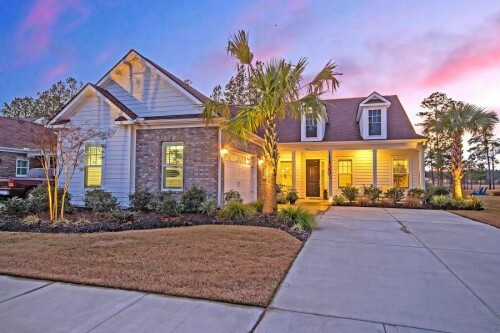 This beautifully appointed Henniger B plan has 4 spacious bedrooms and 2.5 baths. The luxurious master suite is on the first floor with a shower and garden tub. 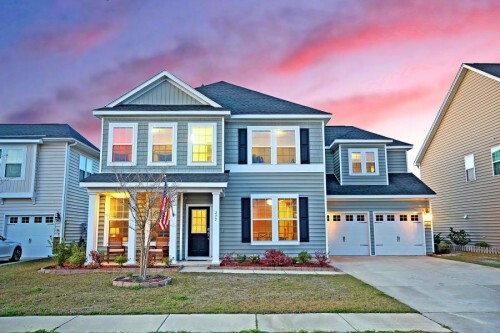 This home opens up into a large foyer with hardwood in the foyer, family room, kitchen, breakfast nook and powder rm. You will find ceramic tile in the master bathroom, laundry room and guest bathroom. The granite kitchen counter tops offer plenty of room for cooking and food. In addition, you will find a portable large butcher block kitchen island. Upstairs offers 3 more bedrooms (2 w/ walk-in closets), Full bath, a loft and a Large storage closet. This CORNER lot comes with a private fenced in backyard, a screened in porch and pergola covered patio.